It’s official: Glow Recipe is the "It" beauty brand of the moment. A favorite among beauty bloggers, the hit brand can be found on every beauty Instagram feed and beyond. 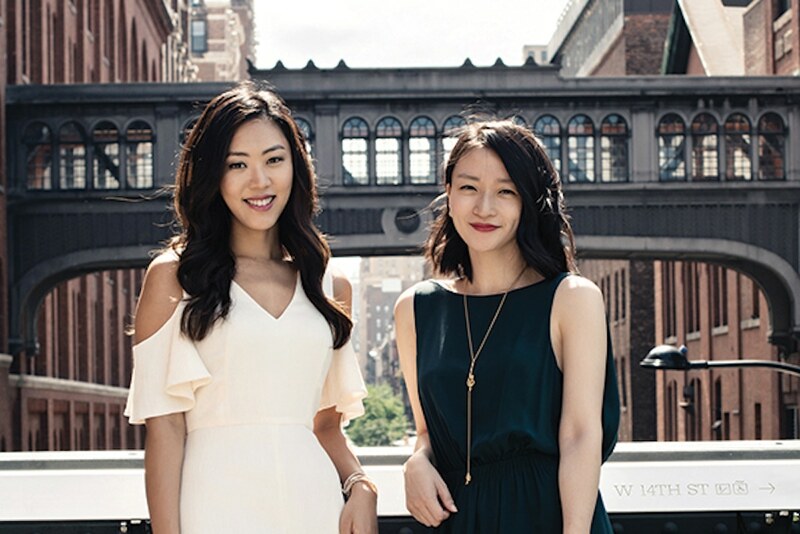 After chatting to co-founders Christine Chang and Sarah Lee, who now serve as Co-CEOs, it’s not hard to see why. The brainiac duo saw that Korean beauty hadn’t yet reached its potential in the U.S. market, and set out to fix that. And fix that they did with their runaway hit Glow Recipe. The brand has gone from strength to strength and is showing no signs of slowing down. We chatted to the industrious duo about their inspiration for the must-have brand. Glow Recipe is exploding! Congratulations—tell us about why you started the company! 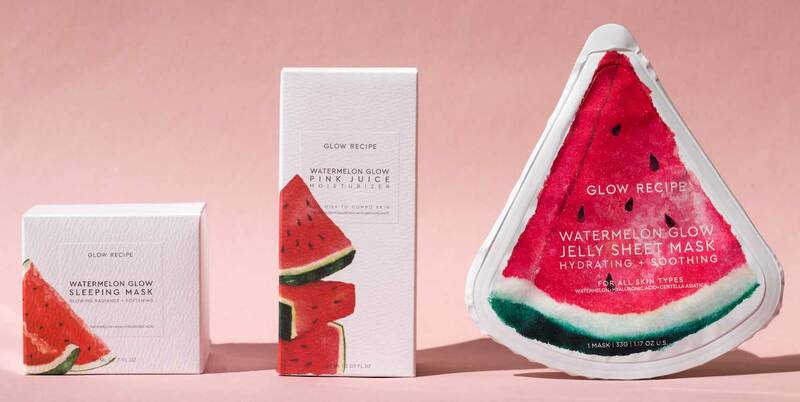 SARAH LEE: When we first sought out to build Glow Recipe, we saw an opportunity to fill the gap between Korean brands and the US consumer by leveraging our bicultural and bilingual beauty backgrounds in a market that was on the cusp of exploding. At the time, we felt that a lot of K-Beauty brands were not being brought over with enough storytelling, education, and content, so we wanted to ensure that we would educate consumers on trends, offer best-in-class skincare, and make them accessible to the American consumer. What's the most exciting part about being female founders? CHRISTINE CHANG: Being female founders is such an empowering advantage for us because we approach our product development and marketing from the perspective of an engaged consumer. We love our beauty products and trends just like everyone else! Even in our past experiences at L’Oreal, we were always surrounded by female bosses that are still mentors to this day. We love being a part of an inspiring beauty community of female entrepreneurs. How do you stay healthy on the road—any beauty tips? SL: Whenever we fly for business or personal trips, we always make sure to be on top of our in-flight beauty routine! Since the air in a plane is so drying for your skin, be sure to prep for the flight ahead with a moisturizing regimen for your thirst-quenched skin. Our Watermelon Glow Jelly Sheet Mask is a perfect travel companion because of its ability to lock in hydration, and the transparent, pink tint won’t scare your fellow fliers! What are you most excited about for the brand in the upcoming months? CC: The upcoming months are packed with amazing new launches that we are so excited to share with our beauty community. We are always looking for the best-in-class natural and harsh-free ingredient stories and innovations to consistently create products to fill the gap between K-Beauty and the American consumer. Our upcoming launches use key ingredients in really unexpected ways, so we can’t wait for everyone to see! What do you love most about K-Beauty? SL: At its core, K-Beauty is about taking a moment every day to focus on self-care with sensorial, fun, efficacious products. It’s an experience that is intimate and unique to each person. With the social nature of K-Beauty, a community is built among beauty lovers to share, support and empower one another. We love that we offer that kind of experience and community with each person that uses our products and we want that kind of culture to be passed down through generations.